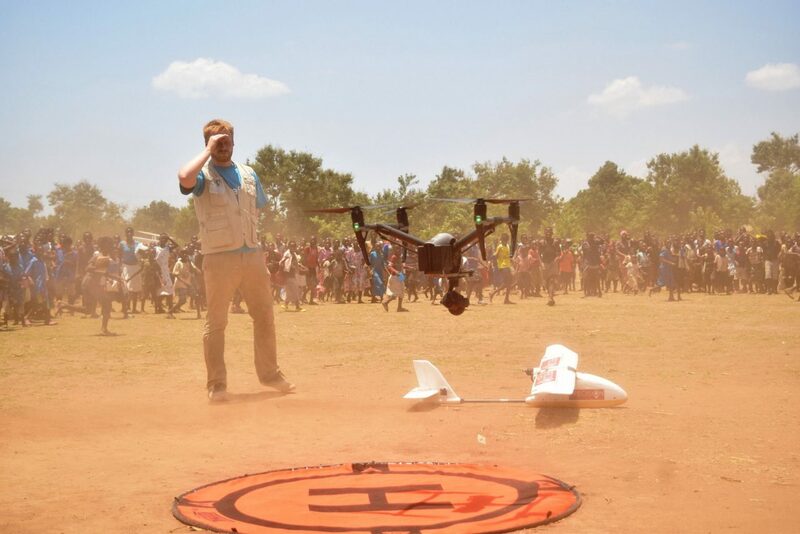 We recently launched our WeRobotics Online Training Academy and are pleased to announce that registration is now open for our first training on Drones in Humanitarian Action. We received well over 400 sign-up’s within a dozen days of announcing the course, so we’re thrilled to have such strong interest in our upcoming training. If you were one of those sign-up’s, please scroll down to then end of this post and click on the registration link to secure your spot. As noted in our initial announcement, the online training is based on years of professional trainings we’ve given to staff across many organizations including the United Nations Office for the Coordination of Humanitarian Affairs (UN/OCHA), World Food Program (WFP), International Organization for Migration (IOM), UN Development Program (UNDP), UNICEF, Emergency Telecommunications Cluster (ETC), Catholic Relief Services (CRS), local universities and many national & local stakeholders including National Disaster Management Organizations in Peru, Myanmar, Malawi, Mozambique, Nepal, Dominican Republic, Maldives, Fiji, Seychelles and beyond. Our online training on Drones in Humanitarian Action was prepared by the AidRobotics Team at WeRobotics. The team—Joel Kaiser, Dr. Patrick Meier and Dr. Andrew Schroeder—brings together over 40 years of experience in humanitarian aid, complex emergencies and humanitarian technologies. The training starts June 11th and ends July 27th. This is a self-paced course, which means you decide when to follow the instructional videos and recommended readings. Each module will include a quiz to evaluate your understanding of the material. A dedicated discussion forum will be available for more in-depth discussions regarding the content provided through the videos and readings. The 7th and final module will comprise a live Q&A session with the course instructors and a dedicated discussion forum to review all the material covered throughout the course. Participants who successfully complete the training and pass the module quizzes will receive a certificate of completion. We plan to offer this course again in September/October 2018 and are also preparing a course on Cargo Drones. The fee for the 7-week training is $300/participant. As this is our inaugural online course, we’re celebrating the occasion by giving everyone a 30% discount, thus reducing the fee to $200/participant (less than $30/module). To register, please follow this link and be sure to complete your registration by June 1st at the latest. Scholarships are available for select participants, particularly women from developing countries. In addition, 50% discounts are available for participants from non-OECD countries. If you’d like to be considered one of the scholarships or the discount, please do not register using the link above and instead complete this form by May 25th. Successful scholarship and discount applicants will be contacted by May 30th.